Hello everyone, and welcome back once more to the Therapy Spot! On this week’s episode, I spoke with Kari Joys, MS. She is the director of the Center for Creative Change in Spokane, Washington. Kari is a well sought after Counselor and Psychotherapist, a skilled group facilitator, and a powerful energy therapist. 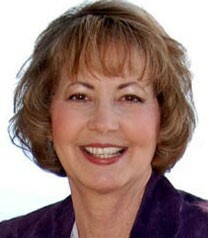 Over the years, she has helped thousands of people move on from a difficult past to achieve happy, fulfilling lives. What I recognize in Kari is her excitement and passion to give back to others what she has learned and experienced. I can plainly see her commitment to giving back to others, just from how she lives her life. With her education and life experiences, Kari leads the way for all of us to have a more joyful and Self led life. Listen in and get just what you need today to go out and create that life you want and can have. While Kari didn’t realize it then, she had asked herself the question that would shape her path in life. With that in mind, I’d like to make the distinction, now, between joy and happiness. The two are similar, but have an important difference. All of these things are external. They’re also temporary. The happiness you feel, like all emotions, will eventually pass. 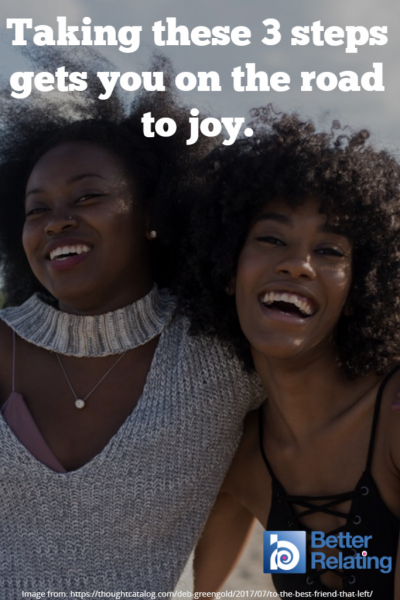 Joy, on the other hand, is an ongoing feeling of peace, and laughter, and love. This inner feeling does not depend on outside circumstances. It’s with you all of the time, even when you go through hard times. We can feel joy on an ongoing basis. Sounds a lot like Self energy, doesn’t it? While many people do not realize it, we are all of us capable of joy. Just like Self energy, however, joy can be blocked. Over the course of our lives, we may become hardened or angry from our negative experiences. When we carry those feelings, they get in the way of our joy. When you’re angry or pessimistic, there’s very little room for joy. Learning to express and release your emotions will naturally bring you back to joy. As Kari spoke about these things, she held her hand over her heart. I love that she instinctively stayed with herself in that moment, even just discussing the idea of processing emotions! Love for others. The more love you give, the more love you have! Gratitude. Whether it’s the simple gratitude of waking up in a warm bed, or having a healthy body, take time first thing in the morning to notice and appreciate the good things in your life. Never forget that joy is an ongoing feeling, but like everything else, it takes practice. There’s so much more in the podcast itself, and I hope you take the time to listen. Kari touches on the link between joy and spirituality, as well as our ability to heal the wounds of the past. We share a lot of warmth, light, and laughter together. If you enjoy listening to what Kari has to say, I encourage you to follow her on Twitter. After all — it’s where she and I first connected! Thank you to all of you out there listening, and supporting me via Patreon. I hope that what you hear on this podcast helps you to feel better in yourself in better with others. Featured photo “Joy” by Flickr user Ken Brown, licensed under CC BY 2.0. Share the post "Navigating the Road to Joy: an Interview With Kari Joys"